A lot of big games were unveiled last night at The Game Awards, but Obsidian’s new sci-fi RPG The Outer Worlds arguably stole the show. 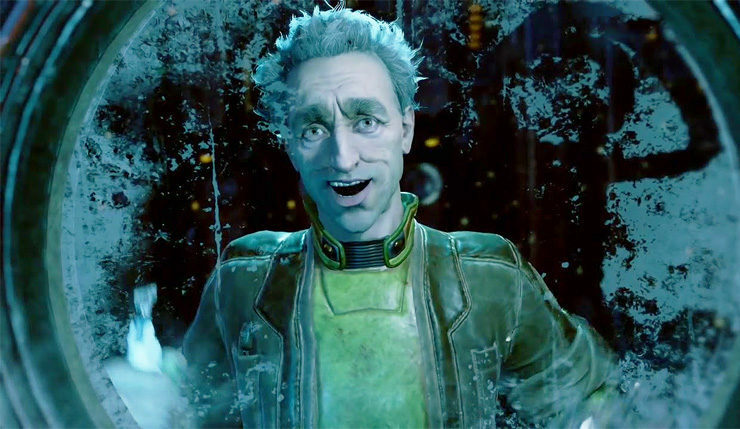 Led by original Fallout creators Tim Cain and Leonard Boyarsky, The Outer Worlds looks more than a bit like it, albeit with a interplanetary sci-fi twist. Of course, you can only glean so much from a quick awards show trailer. Thankfully, Obsidian has shared a nice 15-minute chunk of gameplay with Game Informer. We get a look at a bit of exploration, dialogue, and even a bit of action, and I have to say, the game is already looking quite polished. You can check out the footage, below. Obsidian was recently acquired by Microsoft, but this game won’t be published by them. Instead, it’s being handled by Take-Two Interactive’s indie label, Private Division. The Outer Worlds is coming to PC, Xbox One, and PlayStation 4 sometime in 2019.